16 square meters of intensely detailed 3D printed architecture create a modern version of a Baroque grotto. 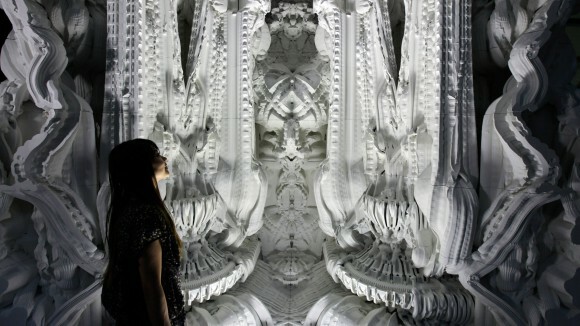 The project, Digital Grotesque, is the brainchild of Swiss architects Michael Hansmeyer and Benjamin Dillenburger and you can walk in yourself at FRAC Centre in Orleans, France (until February 2, 2014, as part of Archilab 2013). Digital Grotesque . Printing Architecture from Digital Grotesque on Vimeo. Digital Grotesque tests the limits of digital manufacturing applied to architecture, taking the challenge of working in large scale, yet complete with all details, rather than for the creation of small models. "The goal of the project is to explore what kind of an architecture we can create when we combine computational design with additive manufacturing," says Hansmeyer in our interview. "It examines new spatial experiences and sensations that these technologies enable. It gives a small glimpse of what has so suddenly become possible." Like Michelangelo, Hansmeyer's team started, conceptually, from a solid block and then starts to decline it into a multifaceted, algorithmically generated geometry. Digitally speaking, the 3.2 meter high, 16 square meter room contains 78GB of production data, 260 million surfaces and 30 billion voxels. Physically, it's 11 tons of 3D printed sandstone at a 0.13mm layer resolution. 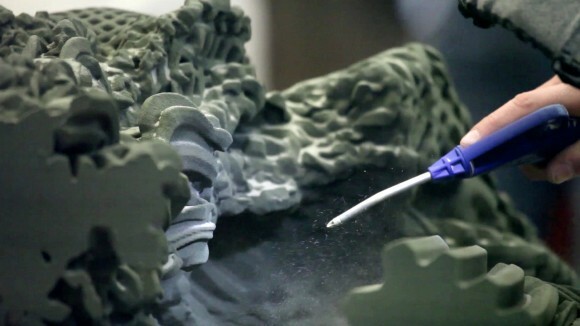 The components were printed by voxeljet AG on a VX4000 printer, which has a build space of 4 x 2 x 1 meters. Searching to place this work within a timeline of art history, I asked Hansmeyer how this new architecture dialogues with or fits into a timeline of art and architectural history that projects into the next century, and his answer indicates that he hopes not to: "We're striving to create an architecture that defies classification. We start our design process with a neutral, plain cube that is free of historical references. We successively subdivide and articulate the cube until the final form emerges. To us, the result is both foreign and familiar." "With the additive manufacturing technology we used, there is no cost to complexity, no cost for details. 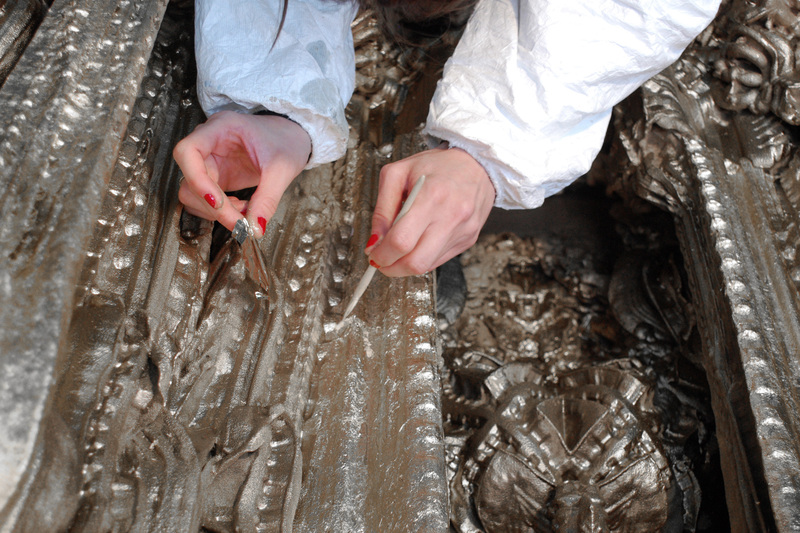 Printing a highly detailed grotto costs the same as printing a primitive cube. Ornament is thus legitimized once again!" 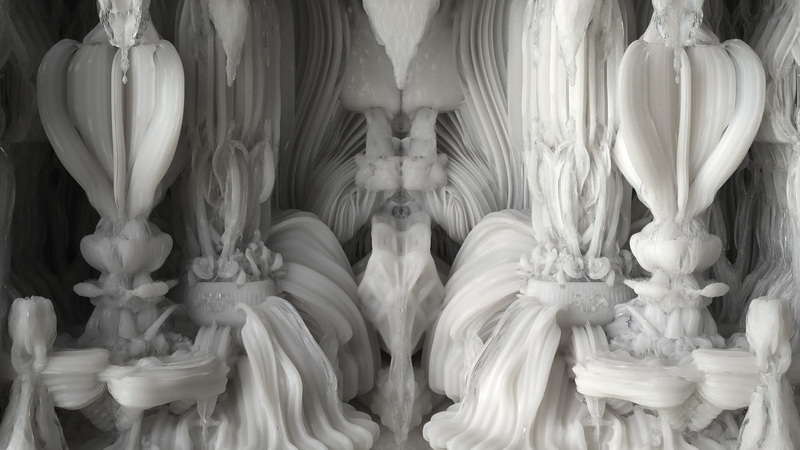 Compared to ornament in the Early Modern period - think of elaborate Baroque sculpture, for example, which required intense human skill - it actually costs less to 3D print a multifaceted ornament than a solid. As machines that have such a high level of precision become more accessible, will design move towards a "more is more" mentality, abandoning the minimalist aesthetic that characterizes these first decades of the 21st century? Selling on different sites it's OK, but the same object should be sold at the same price everywhere. For three good reasons.